Is there a better alternative to Meteoroid? Is Meteoroid really the best app in Video category? Will Meteoroid work good on macOS 10.13.4? Meteoroid is a listed QuickTime movie player. It will also play audio-only files (MP3, AAC, etc). Multiple windows can be shown. Toggle the playlist drawer by pushing button or keyboard shortcut easily. Aspect Ratio of current movie can be changed ekeepf or not. The problem that the rest time of the playing movie is not refreshed when you move seek slider. An effect is added in order to make it easier to understand whether Meteoroid is starting to play movie or not. If youEd like to change speed of playing movie, you can do with right slider. It is available from half a speed to three times a one. Meteoroid uses framework of QTKit which is QuickTime playerfs framework. Therefore it is available to play almost all movies which QuickTime player can do. 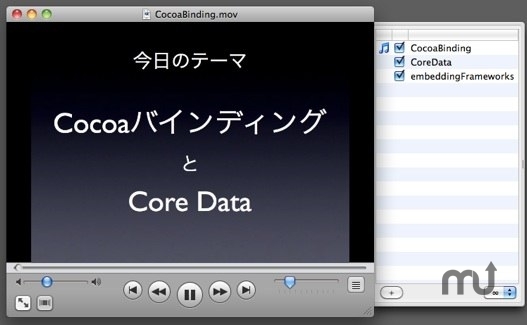 If you install Perian or Flip4Mac plugins, Meteoroid is able to play flv or wmv movies. Moreover Meteoroid loads those movies beforehand, when they are added to playlist.